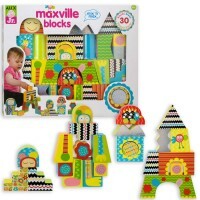 This beginners wooden block mosaic toy by Melissa & Doug features 10 simply designed colorful patterns, to cover with 100+ blocks in different shapes and colors. 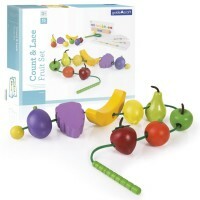 Keeps children engaged for hours in rewarding play! 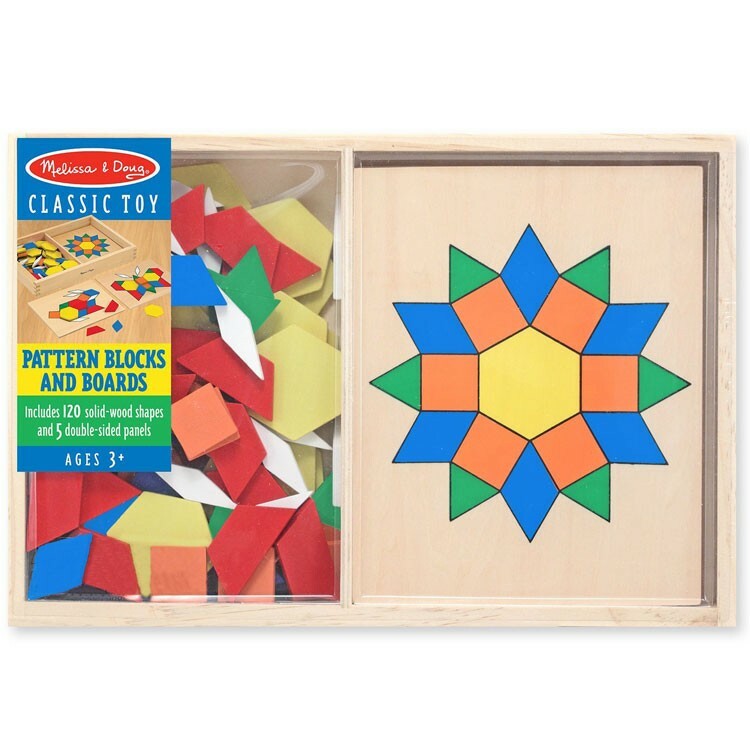 Pattern Blocks and Boards Learning Wooden Toy by Melissa & Doug features 10 simply designed colorful patterns, and over 100 pattern blocks in 6 different shapes and colors to replicate the pattern shown. 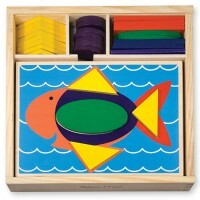 Sturdy wooden case with a see-through lid comes with this craft set for easy clean up and storage. 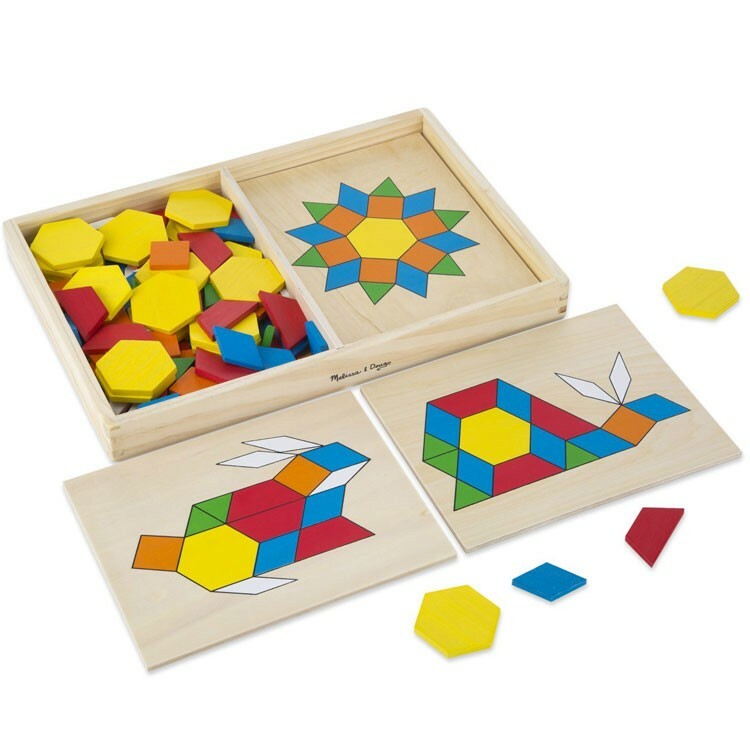 The creative pattern wooden mosaic develops shape and color recognition, motor and manipulative skills. 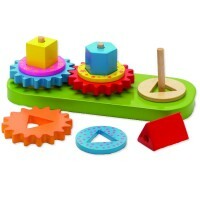 Pattern Blocks and Boards Learning Wooden Toy from Educational Toys Planet is a great toy for child's inquiring mind and hands. 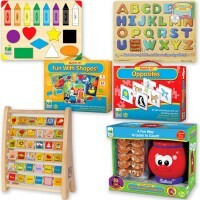 Dimensions of package 8.75" x 1.5" x 13"
Write your own review of Pattern Blocks and Boards Learning Wooden Toy. 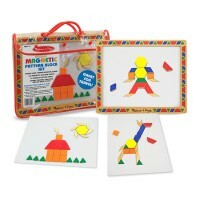 Rating: 5 by Christopher Green, NM Very educational and fun mosaic set. 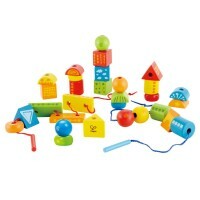 My daughter plays with it for hours. Thank you! Rating: 5 by Angela, IL This one is fantastic. My son was having a hard time sitting still for even 5 minutes to complete an art project. 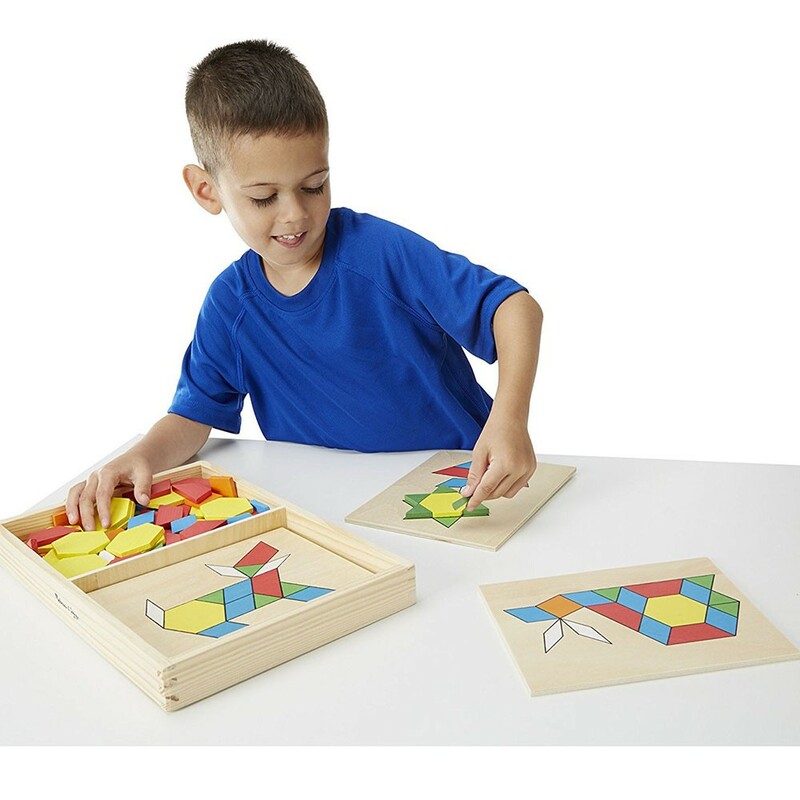 Now, he literally sits for at least a half hour to complete several of the puzzles. Thank you! 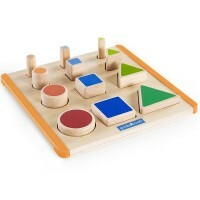 Rating: 5 by Linda, CA My Grandson is so into colors and shapes, he's enjoying this. 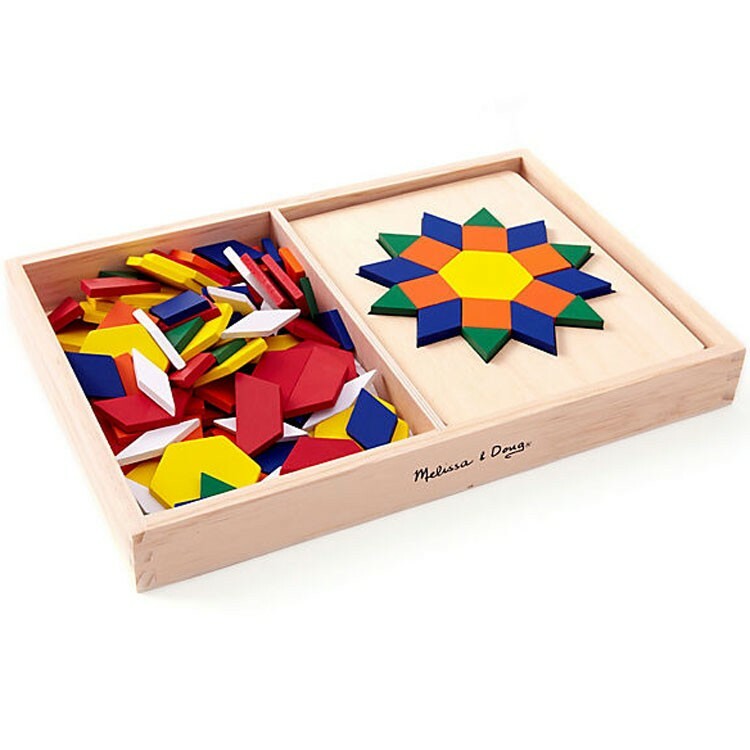 Rating: 5 by Karen, OH a great learning toy- our daughter enjoys sitting down with it and matching all the shapes to make the pictures! Rating: 5 by Nancy, NC I'm a retired teacher so I know the value of Pattern Blocks. 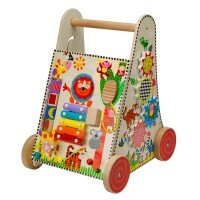 This is a Christmas gift for my grandson. 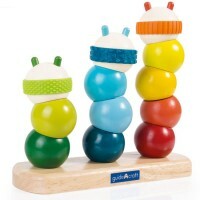 Rating: 5 by Robert, MO Great classic toy. 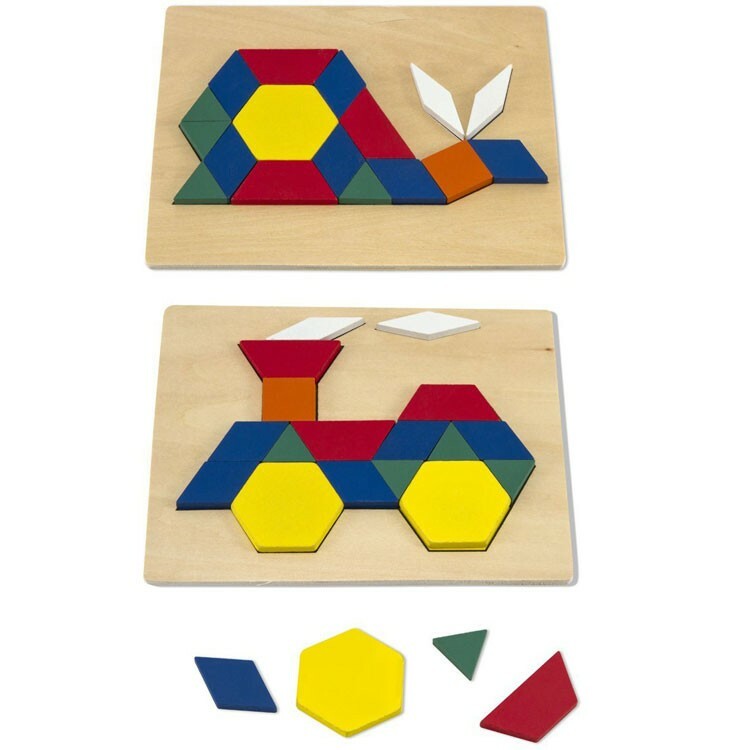 Quality mosaic shapes. 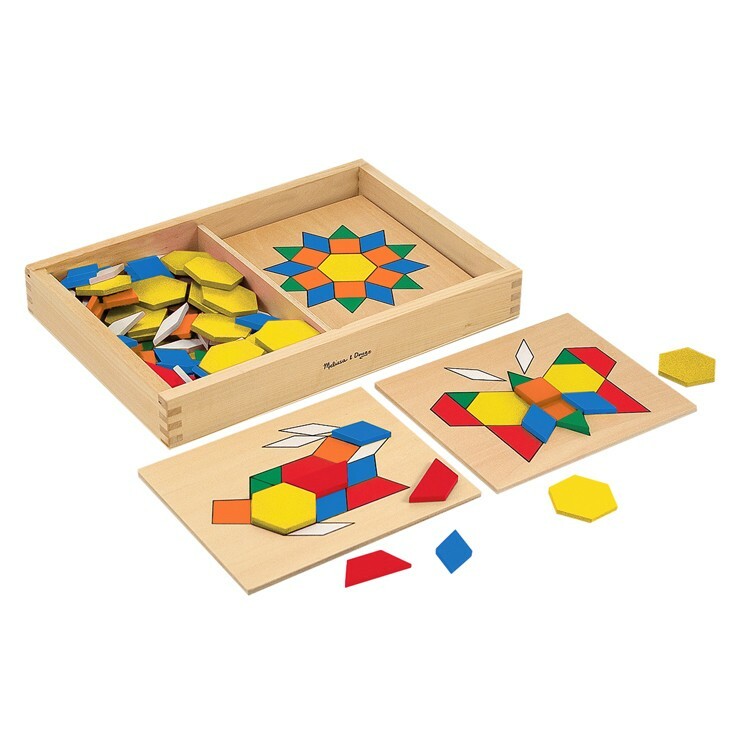 Age appropriate for 4 year old.